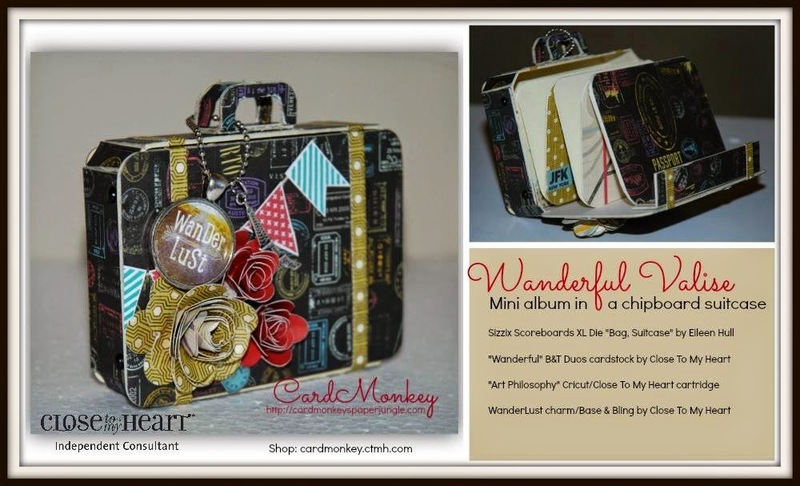 CardMonkey's Paper Jungle: How I WISH I traveled this light! "All my bags are packed, I'm ready to go. Taxi's here, he's blowing his horn..."
Well, actually, my bags are NOT packed but I AM about to head out on a long-awaited vacation to the Outer Banks. Hubby John booked a large and lovely Oceanside home near the beach in North Carolina, and now I have a week to get my act together. What crafting item(s) will I bring to entertain myself for 2 weeks!!? Aaargh, panic!! I am SUCH an over-packer anyway. And this time, we're going with our two dogs Sadie and Morgan (yes, the rental allows dogs, YAY! ), and we're also bringing my daughter Emily and her two lovely babies Charlotte (3.5 years old ... "I'm not a baby. I'm a big girl.") and Evan (9 weeks). Her hubby Josh is staying home to save vacation time for our next planned trip -- a cruise in March with the family. I ♥ my family!!! While I am away, I have a series of blog posts scheduled for the entire month (even though I'm not gone that long). 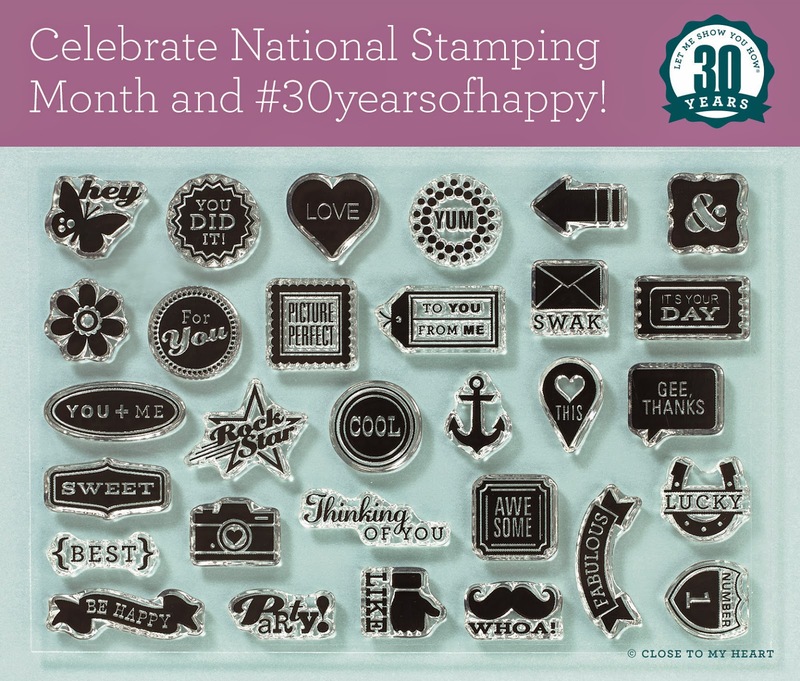 Two other Close To My Heart Consultants and I have teamed up to show you ideas on using the 30 mini stamps that are being offered FREE in September with your qualified order of 3 retail-priced stamp-sets (not SOTM or Hostess Sets). Eileen came and taught a class for me on her #PaperTrail2 in June; the suitcase die was one she showed but I didn't get until later. Use chipboard (or art mat) cut to size. I ran the die through my new CROSSOVER die-cutting/embossing machine by Cheery Lynn Designs. I promise to do a video showing this fantastic machine pronto ... as soon as I get back from vacation. Oooh-la-la. Oh wait... before I ran it through the cutter, as Eileen taught, I used Aleene's Tacky Spray Glue to affix CTMH's "Wanderful" paper to the front of the scoreboard. Then both the paper and the board are identically cut, and there's no fussing or paper-piecing. Fantastic time saver! I embellished the suitcase with rolled flowers (cut using CTMH's Cricut cartridge called Art Philosophy) and banners I stamped and fussy-cut. I also used a piece of CTMH Base and Bling (Eiffel tower charm) and a glass bezel charm to accent. Inside, there's a mini-album (accordion fold) that also uses the Wanderful paper. Ellen, this is super cute!! I recently visited the Cheery Lynn building in Phoenix, AZ to exchange a die set that wouldn't cut anymore. They were so helpful and I got to see that machine they created in action!! Let me know how you like it. Do you use it for embossing as well?